The Sport for Rights campaign refutes the preliminary statement of findings of the Parliamentary Assembly of the Council of Europe (PACE) monitoring delegation to Azerbaijan’s 1 November parliamentary elections. 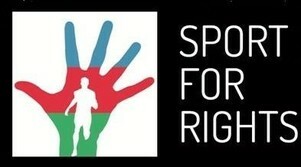 Sport for Rights emphasises that the human rights situation in Azerbaijan has never been worse, and that these elections stood no chance of being fair and free, as the ruling regime has been working aggressively to silence its critics, and creating unfair obstacles for opposition candidates – leading to the mainstream opposition boycotting what they viewed as “imitation elections”. However, the PACE monitoring delegation, while noting “with regret that serious concerns in the sphere of human rights still remain in Azerbaijan”, still insisted that the elections represented democratic progress. As delivered at a Baku press conference today by head of the delegation Jordi Xuclà (Spain), the statement concluded that “the significant increase in voter turnout and the transparency of voting and counting procedures demonstrate another step forward taken by the Republic of Azerbaijan towards free, fair and democratic elections and that the results of this vote express the will of the Azerbaijani people”. “It is disheartening to see this statement from the PACE delegation. The Azerbaijani elections were not democratic by any standards, as they took place against a backdrop of unprecedented repression. This monitoring mission never should have taken place; PACE should have followed the lead of the OSCE and the European Parliament and cancelled its mission, as the chances of this vote being fair and free were eliminated long before election day”, said Gulnara Akhundova, Programme Manager at International Media Support. “We are deeply disappointed by the statement of the PACE delegation, which again calls into question the motives of some PACE delegates in their approach to Azerbaijan. As a next step, we will be calling for the suspension of the credentials of the new Azerbaijani PACE delegation, as these MPs were not elected through a fair and free process”, said Brigitte Dufour, Director of International Partnership for Human Rights. In an unprecedented step, a group of three MPs who took part in the PACE delegation – Ute Finckh-Kraemer (Germany), Michael McNamara (Ireland), and Frank Schwabe (Germany) – issued a dissenting statement, expressing “our regret that the we cannot regard these elections as a step towards free, fair and democratic elections…the situation in the country with respect to political freedoms, freedom of expression and media, and freedom of assembly and association does not provide conditions for holding free and democratic elections.” The dissenting statement also detailed a number of serious shortcomings in the campaign period and on election day. The Sport for Rights campaign welcomes the dissenting statement, and regrets that the official statement was not inclusive of these views, which more accurately assess the situation in Azerbaijan. Sport for Rights calls on PACE to take concrete action to address the problems identified in the dissenting statement, as well as previous PACE documents such as the 24 June resolution on “the functioning of democratic institutions in Azerbaijan”. Finally, Sport for Rights underscores the need for a stronger and more consistent approach of PACE and the Council of Europe more broadly in working to hold Azerbaijan accountable for its obligations as a member state. Sport for Rights is a coalition of international organisations working to highlight human rights concerns in Azerbaijan in the context of sporting events such as the Baku 2015 European Games and the forthcoming Baku 2016 Baku European Grand Prix. Sport for Rights has detailed the issues mentioned above in its new report, No holds barred: Azerbaijan’s human rights crackdown in Aliyev’s third term, available at http://www.mediasupport.org/wp-content/uploads/2015/10/sfr-no-holds-barred-hires-FINAL.pdf. For more information on the report, the campaign, or the human rights situation in Azerbaijan, please check out Sport for Rights’ Facebook page (https://www.facebook.com/sport4rights) and Twitter feed (https://twitter.com/SportForRights), or contact the campaign at info@sportforrights.org.